The gate clanged close as Matt Nuckols went up to one of his prized Holsteins. “How big is she?” I asked on the other side of the gate, as Bella nudged Nuckols. Three generations of the family have worked at Eastview Farm. The over 1,000 acres was purchased by Nuckols’ great grandparents for his grandparents in 1938. An American flag flew outside the big white house a few hundred feet from the barn. That’s where Nuckols calls home. Day in and day out, two generations of the family continue to farm. Nuckols’ dad, F.C., Uncle Wayne and cousin Taylor take care of more than 250 purebred Holsteins. The cows have been specially bred over the years for specific high-quality traits, giving the farm recognition worldwide. But times are tough at Eastview Farm. 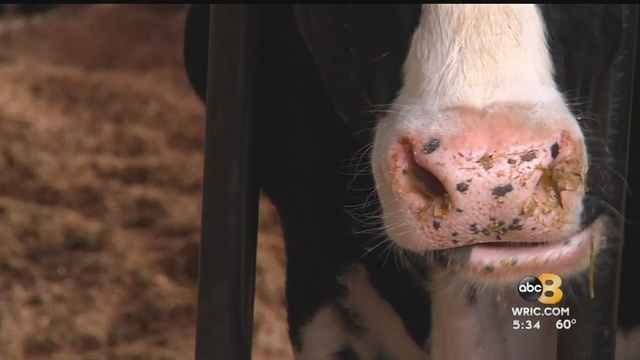 Come June, there will be only one dairy farm left in Hanover County. Usually, around that time, Nuckols takes Bella to the Richmond Children’s Museum for a National Dairy Month event. While experts say milk production across the country is going up, smaller farms are struggling because consumers aren't buying as much of it. Dairy is Virginia’s third largest agriculture industry, according to the most recent data from 2017. 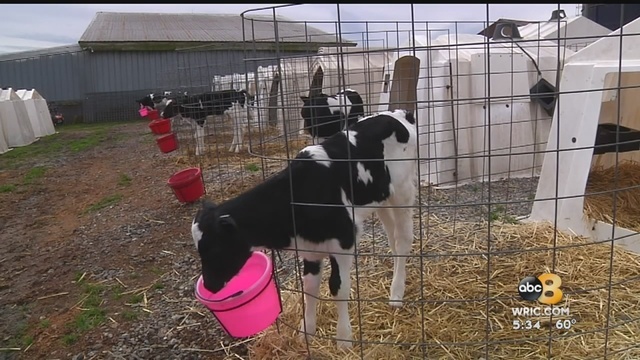 Data from the Virginia Department of Agriculture and Consumer Services show about 500 Grade-A milk permits were issued in as of March 8, 2019. Those permits are for the milk you drink from a container in the grocery store. That’s about 150 less than July of 2017. According to the Virginia Farm Bureau, 30 years ago there were more than 12,000 Grade A permits in the state. While more consumers grab cheese and yogurt from the dairy aisle, fewer people are getting milk you drink. “When it comes to dairy farmer pay, as a dairy farmer they stand to make more money off of fluid milk sales and those declines have been significant in the past 8 or 10 years,” Banks said. Since 2014, Banks says the cost of the milk you drink has done down by 35 percent. It was a difficult decision for the family to stop producing come June. But the land and a few cows will stay with the family. Nuckols hopes to keep advocating for dairy farms, to help keep other families in business.